Idea Factory International provides us with some updates about the upcoming visual novel release, Date A Live: Rio Reincarnation. Firstly, a character trailer is now available showcasing the lovely heroines surrounding our main character. These heroines are Tohka Yatogami, Yoshino, Kurumi Tokisaki, Kotori Itsuka, Origami Tobiichi, and Rinne Sonogami who debuts in the title. 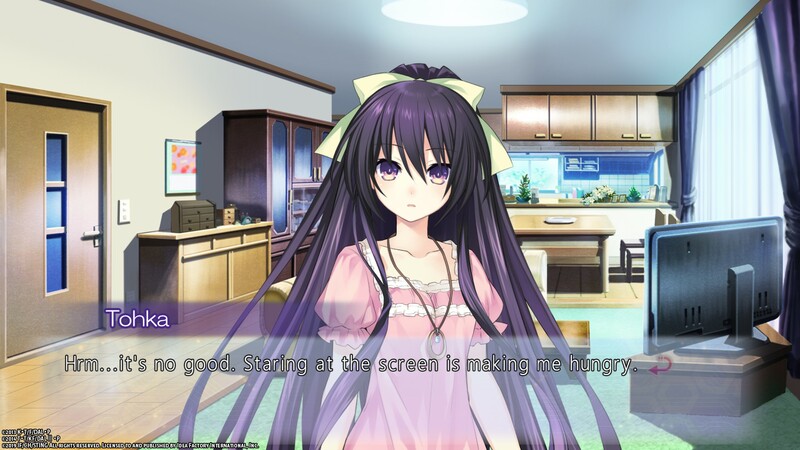 Secondly, the official website has updated Tohka’s profile with some screenshots for fans of the ditzy spirit to enjoy. Third, another update that tells us of the story of Rinne Utopia. For clarification, this is the first game that originally released for the PlayStation 3 back in 2013 that introduces Rinne Sonogami. Finally, yet another website update that brings many goodies. This includes the map screen where players will have an overview of whose available for a date, a look at the interactive CGs and the revelation that players will get access to the never-before-localized Light Novels. At this time, there’s no new information regarding specific release date within June. You may refer to our previous article for previously revealed surrounding Date A Live: Rio Reincarnation.